Doctor's Best Natural Vitamin K2 MK-7 with MenaQ7 plus Vitamin D3 offers a highly bioavailable and bioactive form of natural Vitamin K2. 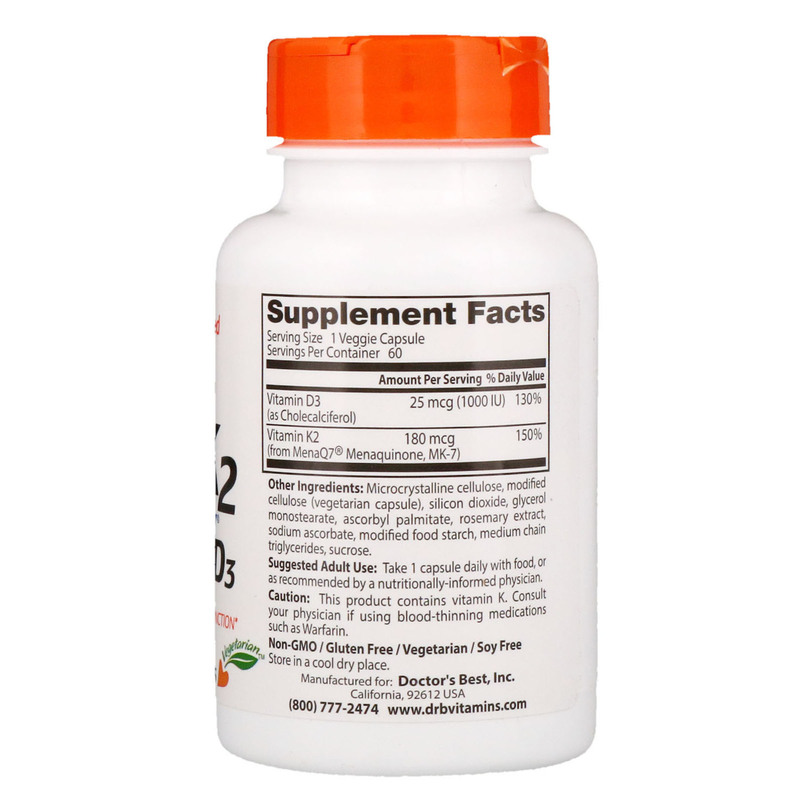 Combining this dosage of MenaQ7 and Vitamin D3 helps protect blood vessels from calcification. These ingredients influence the elasticity of the arterial vessel wall and help reduce excess serum calcium levels. Microcrystalline cellulose, modified cellulose (vegetarian capsule), silicon dioxide, glycerol monostearate, ascorbyl palmitate, rosemary extract, sodium ascorbate, modified food starch, medium chain triglycerides, sucrose. 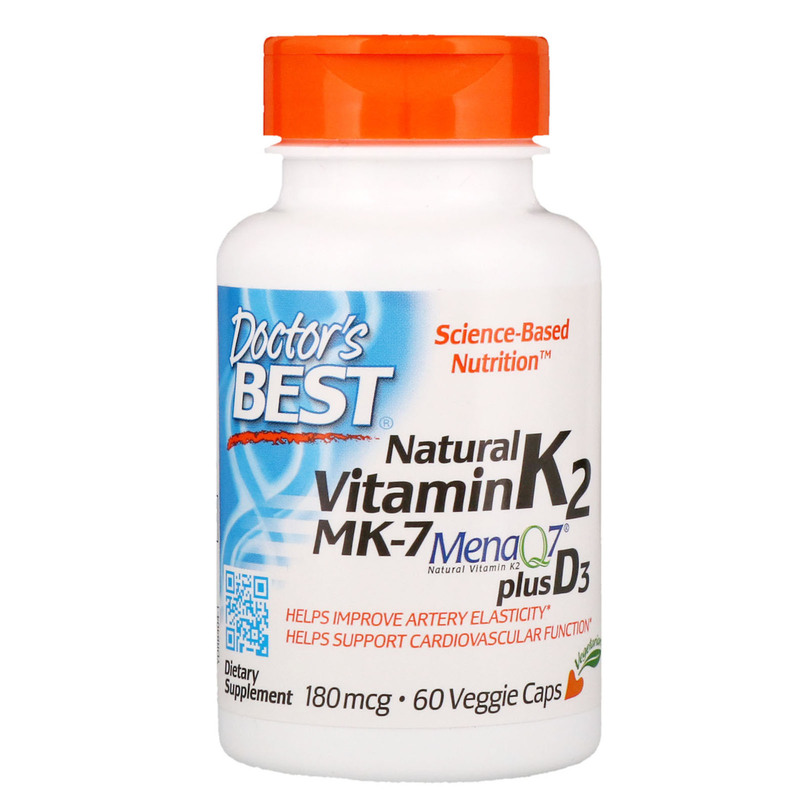 This product contains vitamin K. Consult your physician if using blood-thinning medication such as Warfarin.